StreamTransport is a free application that enables you to download audio and video from YouTube,Hulu, Veoh, Boxee, etc. However, StreamTransport for Mac is not available. And concerns of StreamTransport not working in Mac OS have been raised. If you're looking for StreamTransport Mac version to download videos from YouTube, Hulu, VEVO, Yahoo Video, Vimeo, Metacafe, Dailymotion, etc, here is the right place for you. We are going to introduce you with the best StreamTransport equivalent for Mac OSX. This program gives you the ability to grab videos from YouTube, Facebook, Veoh, Vimeo and 10, 000+ sites. 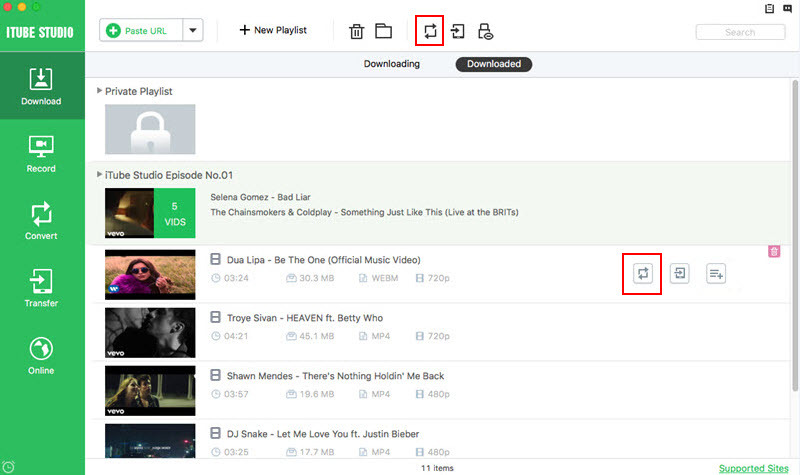 It lets you download YouTube to MP3 and save all videos in a YouTube channel or playlist in only one click. You can download HD and UHD quality videos and big size videos at high-speed and maintain their quality. It enables you to convert the downloaded videos to almost any video and audio format you like. You can even choose from the presets for mobile devices to make the conversion easier. 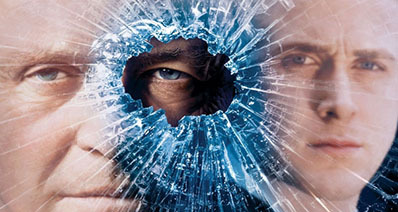 Click above "Free Download" button to get the program. And double click the application icon to open the installation wizard. Then follow the prompt information to install the program. When completing the installation, the program will launch automatically. 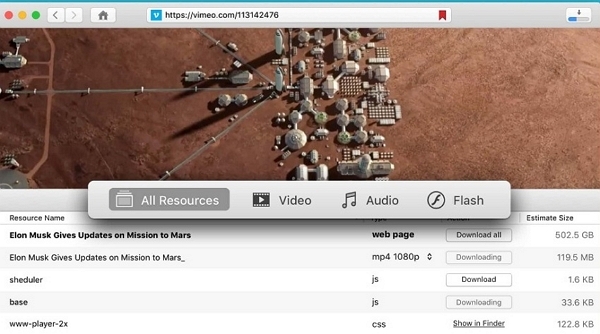 Open Safari, Chrome or Firefox and find your favorite videos. Then play the video you want, you will get a "Download" button appears on the top left corner of the video window. Now directly click the "Download" button, the program will capture the video and start saving it automatically. Alternatively, copy the video URL and navigate to the primary window of the program, then click the “Paste URL” button. The video will be loaded and the download begins. This StreamTransport alternative on Mac supports the multiple URL pasting and video downloading . Another way is to go to the address bar of the browser and find the URL icon of the video. Then drag and drop the URL icon to the primary window of the program. 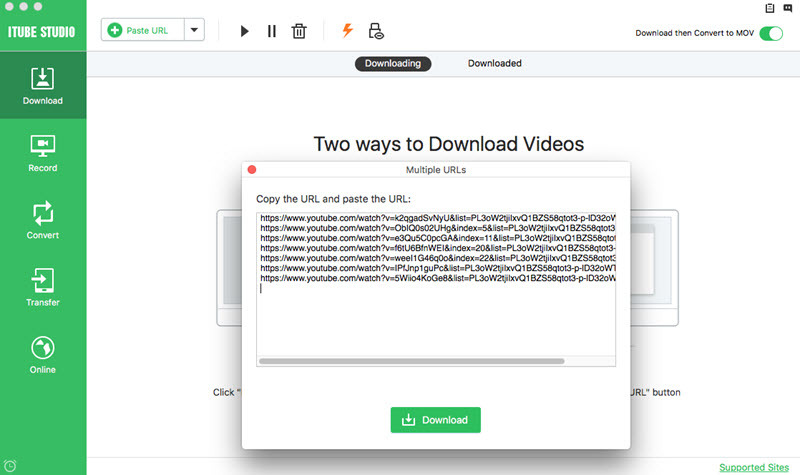 This smart software will load the video for downloading immediately. Note: When this StreamTransport alternative for Mac is downloading video, you can continue to watch other cool videos. If you want to save more videos, just use above steps to download them. You can go to the "Downloading" tab on the primary window to check the download process. If you want to convert the downloaded video to other video format like MP4, WMV, 3GP, MOV, etc. or audio format like MP3, you can first go to the "Downloaded" tab to add the video to the "Convert" menu. And then open the "Convert" menu and click the "Convert" button on the right of the video thumbnail. Then select an output format from the format list. Last, click the "OK" button to start the conversion. For more convert needs, you could click here to know more. Except the iTube Studio-Best StreamTransport Alternative for Mac, consider users require some other more tools which can download multimedia files. Even though there are various online and free tools available on the internet yet it is better to opt for the paid software. The software which is purchased over internet offer more reliability and have technical support. So, we have gathered a list of paid programs that can serve as a perfect StreamTransport Alternative. The most advanced tool that is available as the StreamTransport alternative is VideoDuke designed by Eltima Software. It supports all popular video hosting website and can instantly download them in your Mac. So, if you want to download movies, TV Shows, cartoons and other videos from YouTube, Vimeo, Dailymotion, and other websites, then use this program. The program even has browser extension for quick access to download videos. The software can download video even when they are streaming. It can download audio files too and can extract audios from videos. Not even a single user has reported an issue with this tool. The easiest way to download videos from multiple platforms is to use Leawo YouTube Downloader instead of StreamTransporter. The software is built with a download manager so that the users can watch the videos offline. It also has a built-in video player to have a preview of the files you are about to download. 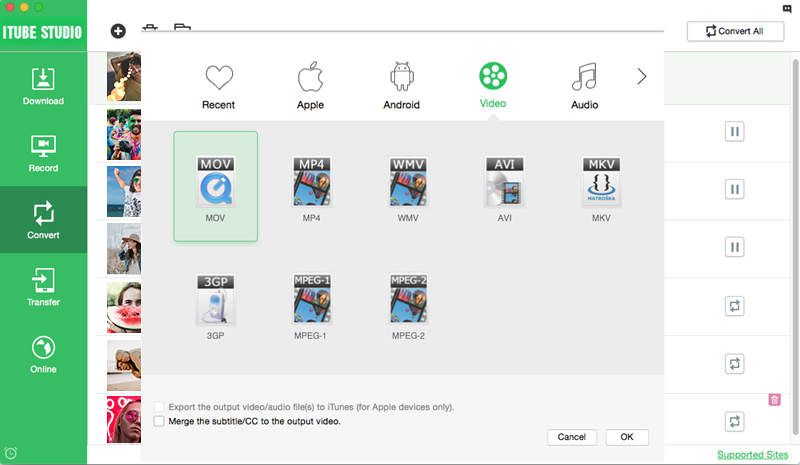 The videos can be downloaded directly into the iDevices format. The software has a very simple and sophisticated interface. The software has several features missing in it. It also lacks the format conversion tool and browser plugin. It is another StreamTransport alternative. 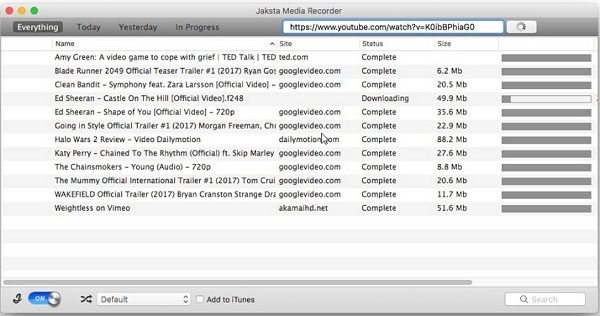 Jaksta Media Recorder is used to download Video and Music files from the internet. The program makes it super easy to download files. This tool has support for over 10,000+ websites and allows the users to download media files for PSP, Apple TV, iPhone, iPad, and Android devices too. Moreover, you can download multiple files in a batch. The software offers high speed downloading. It can capture various common stream formats and protocols for Mac. The tool also has a 30-day money back guarantee. The built-in notification sounds are very harsh and intrusive. This tool is also very unstable. The StreamTransport download is only possible for Windows, that’s why the Mac users came up with a lot of tools to fulfill their needs. 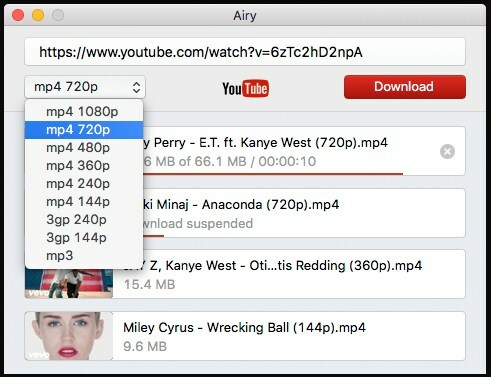 Airy YouTube Downloader is also an attempt to download the YouTube streaming videos on Mac. Plus, it is not just YouTube videos that can be downloaded with the help of this tool. You can extract audios from video files too. The program can be integrated into any Browser. With Airy, you can also password protect your YouTube videos. The software doesn’t have support for other videos hosting platforms. Allavsoft is an omnipotent alternative for StreamTransport Mac. It can download videos from sites like Facebook, Yahoo Video, Google Video, eHow, etc. now; get your videos in any Apple format in High-Quality with just one tap of your hand. So, if you want to play your videos on any player or device, you can convert the format easily with this software. This tool has an interactive interface. It is a compact tool which serves as a downloader and converter both. The customer support service is very bad. 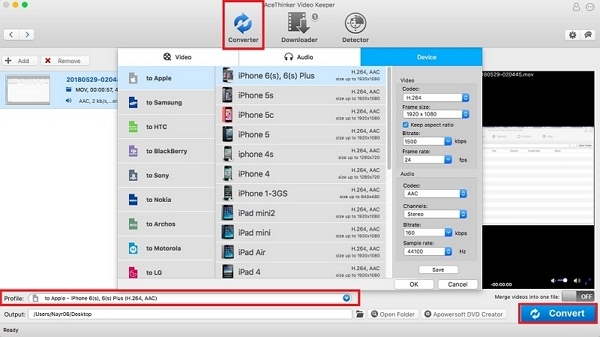 If you want a powerful alternative to StreamTransport, then Video Keeper is your answer. It can download videos from over 100+ video sharing and hosting sites. You can save the media files in any format to play it on any device. It will download the video while streaming easily and quickly. The software also has various optimization options. You can convert the file formats after downloading too. The trial version sets the users for disappointment. Supported Video Sites Over 10,000+ sites All Popular sites including YouTube, Vimeo, Dailymotion, etc. Websites like YouTube, Facebook, Break, Veoh, etc. Over 100,000 websites Only Youtube More than 50+ websites Websites including Lynda, Metacafe, Ted, Facebook, etc. StreamTransport is a free application that enables you to grab audio and video files from various website's URL automatically such as,but not limited to, YouTube,Hulu, Veoh and Boxee. Concerns of StreamTransport not working in Mac OS have been raised. Reason being the StreamTransport developers do not have a Macintosh version out as yet. Other cons of the StreamTransport include the lack of file conversion feature to various formats .This gives users who would like to download and view a file through their phones a great hustle due to some devices video compatibility issues. 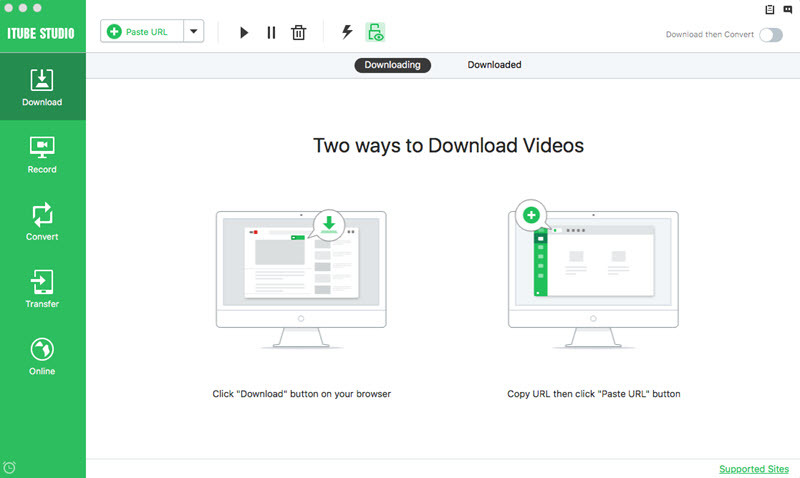 The video downloader only allows you to grab and convert a single file at a time raising the issue of more time consumption than required during your downloading process. More often than not, issues of StreamTransport not working as a result of lack of maintenance have been sited. But fear not mac user for there are several brilliant alternatives that you can use to download those HD movies to keep you away from boredom! #1. The software lacks many file conversion features which lead to a problem. Solution: It is recommended to use iTube Studio-best StreamTransport for Mac alternative as it has various optimizations available. #2. It only supports downloading of one file at a time. Solution: You better use iTube Studio-best StreamTransport for Mac alternative or some other tool that supports batch downloading. #3. StreamTransport also doesn’t allow the users to transfer videos to other devices. Solution: Luckily, the iTube Studio-best StreamTransport for Mac alternative can help you to do that too which proves that it is the ultimate software for all media requirements.